Today Laura, Jack and I are off our first real Australian Adventure- the Outback. We have been planning this trips for months and promised each other that we must go visit Uluru before we move back to New Zealand. 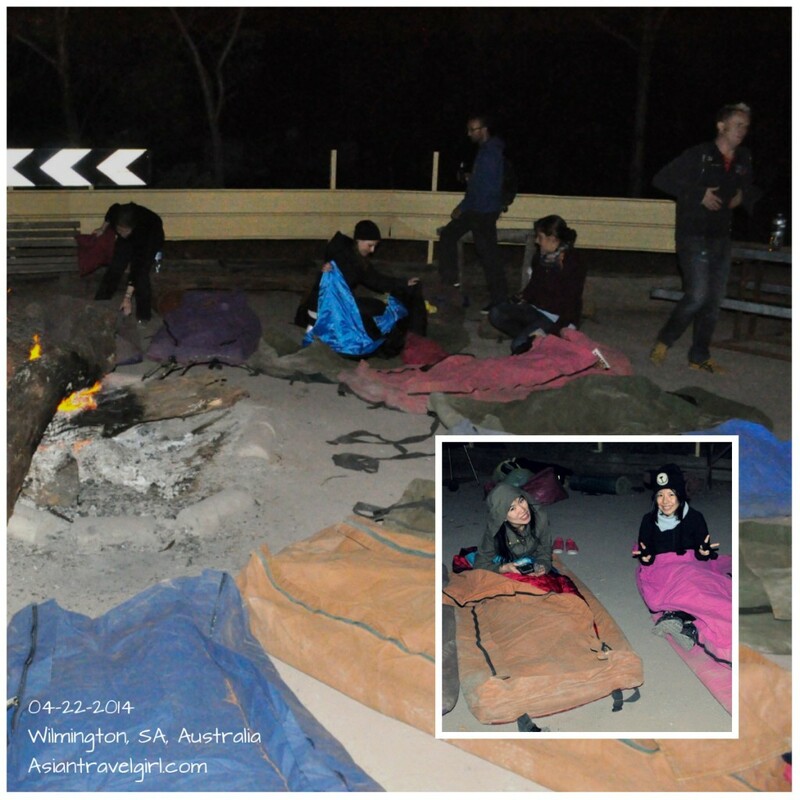 We decided to go on our glorious adventure by joining the Groovy Grape Getaway’s 6 day Rock Patrol tour which travels from Adelaide to Alice Springs. The reviews of the tour are great on Trip advisor, the price is reasonable and the destinations are all places I wanted to go. We got picked up by a minivan at 6.55am by our guide Leith. He was already overly hyperactive at this time of day. He told us our first stop would be Claire Valley wine region and we would be doing some wine tasting at a cellar called “Taylors”. 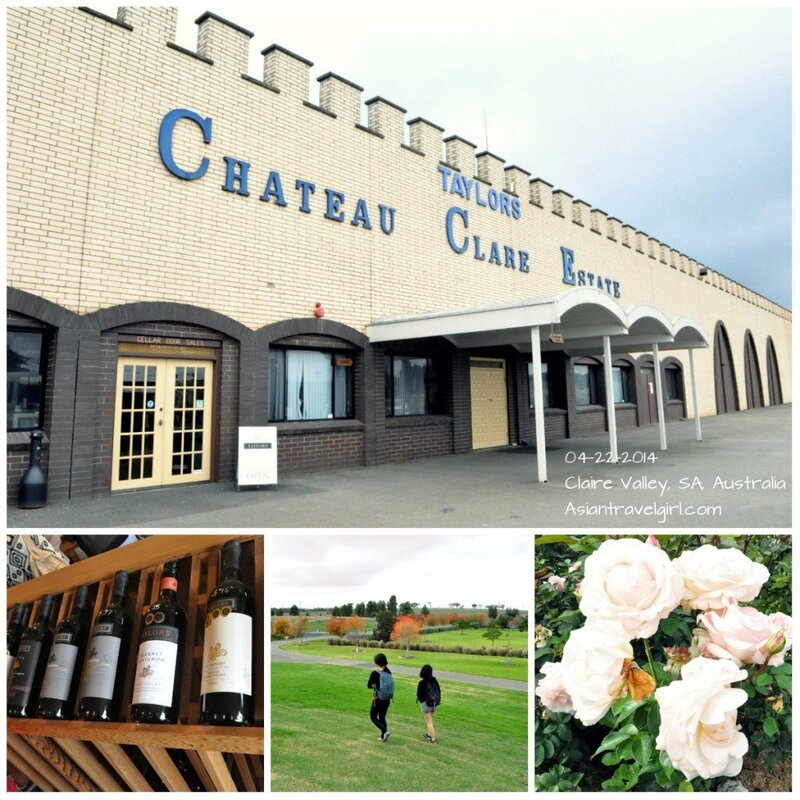 At 9.30am we arrived at the cellar, a beautiful place with rose gardens on the outside. It is never too early for wine on a holiday. I was surprised that some of my fellow backpackers are already buying wines from the winery, considering that it was only the beginning of the trip and they have limited luggage space to carry wine. I later discovered that these wines were to be consumed during this trip. Around noon We had our first meal in a small town call Laura. 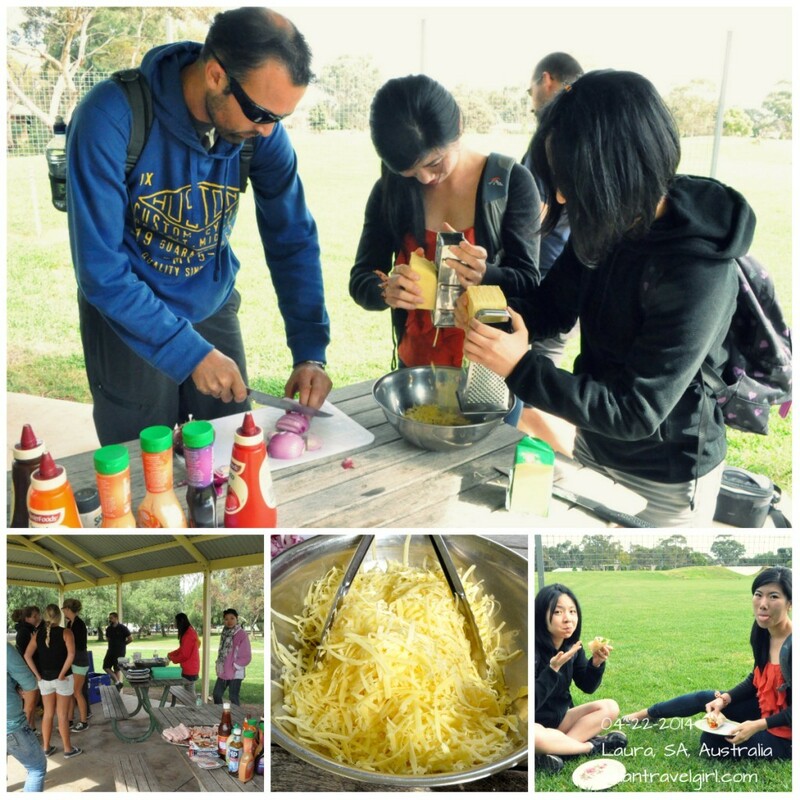 Australian outback lunch maybe a little different. It was Jack’s first time to join a tour like this and hence he was a little surprised. Our van was parked at a car park and we made sandwiches next to the van. Laura and I were allocated the job of cheese grinding. Leith was very particular about the way we grind those cheese. He said if we grind it vertically, the cheese will be fluffier and softer. The sandwiches and the wraps tasted delicious after being starved for several hours. At around 2pm we arrived at our campsite at Wilmington Accommodations. 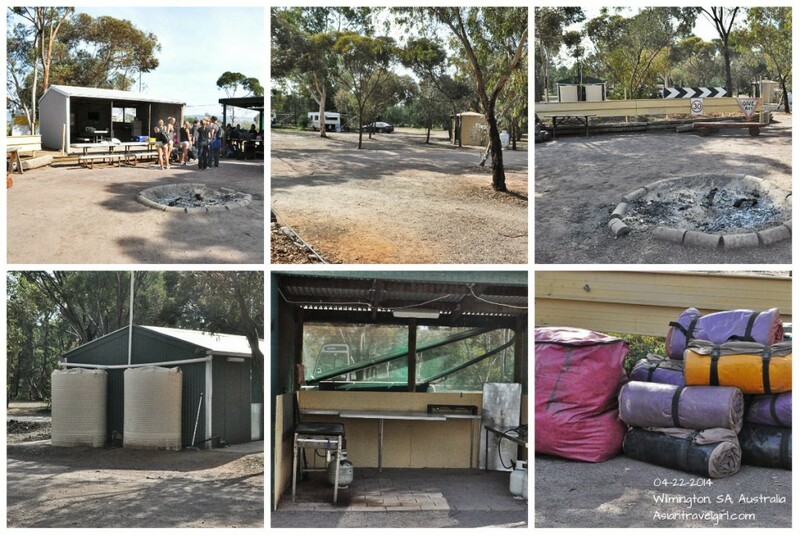 The toilets were very clean and there were not people at that site. Leith said the showers are gas heated, so we don’t need to be afraid of running out of hot water. Our next destination was Alligator Gorge which is twenty minutes away from our camp site. 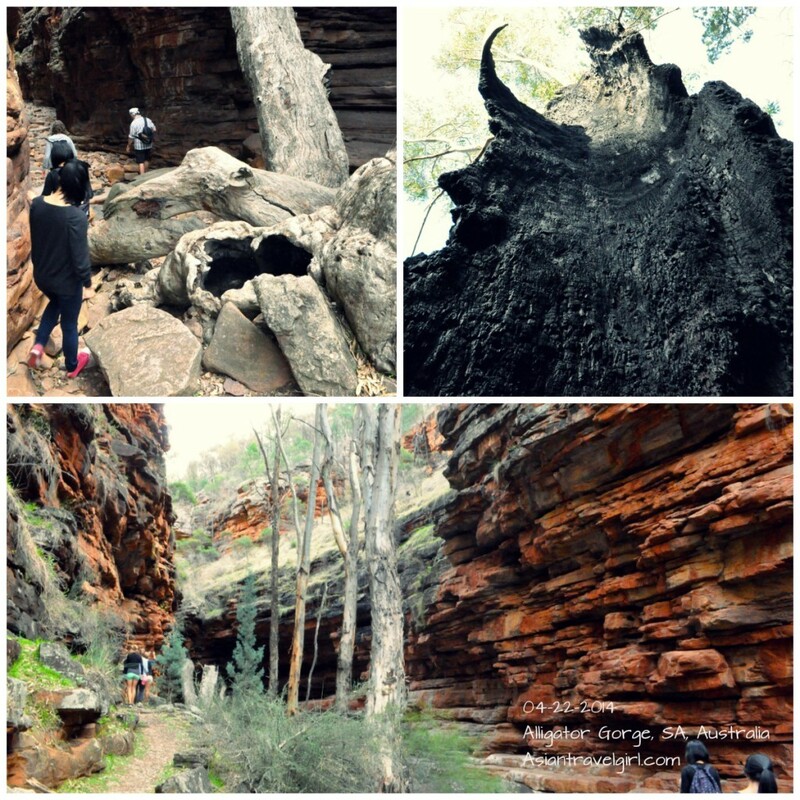 Alligator Gorge is a place within Mount Remarkable National Park and is a main natural attraction in the Southern Flinders Range. We did a two hour walk which includes strolling between the ancient quartzite that has been cut through by Alligator Creek. The rock formations were similar to the ones in Blue Mountains in NSW. It was a pleasant and easy two hour walk with many photo worthy places. The weather was not too hot during April for this walk. Beautiful walk in Alligator Gorge. We finished the walk just before 5pm and went to the local pub to buy beer for the rest of the trip. Everyone chipped in and we bought roughly AUD$100 worth of beer. Now everyone can have a few nice chilled Aussie beer whilst camping underneath the stars. Entrance of the local pub to buy some beers for the week. Tonight’s dinner was Spaghetti Bolognese and Laura and I continued our job as cheese grinders. They ended up calling us “the cheese girls”. The power outlets were limited so we all had to fight our ways to get our phones charged. The cheese girls and our dinner! Wasn’t expecting this kind of luxury in the outbacks! After dinner, Leith taught us how to use swags. None of us had ever seen swags before. A swag is a waterproof canvas that comes with a foam mattress. He said sleeping in swags are better than sleeping in tents, this is because if a snake accidentally goes into a tent, it is hard for them to find the way back out. However with the swag, the snake will just slide across it. Basically we just placed the swag on the dirt ground and put sleeping bag over the top. 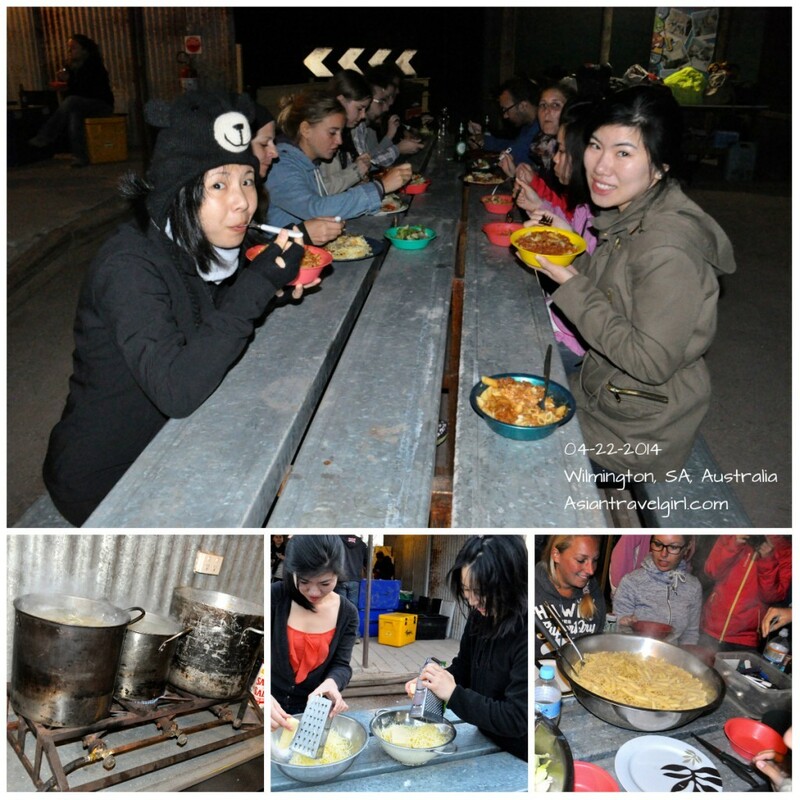 How exciting first night in swags, underneath the Outback stars! After such an early start and 300km worth of travels, we were all pretty knackered. I snuggled into my sleeping bag and gazed at the outback stars. However it was really cold at this time of the night and I couldn’t watch the stars for too long. I soon found a warm position and fell asleep in the outback and concluded my first day of my Aussie adventure. 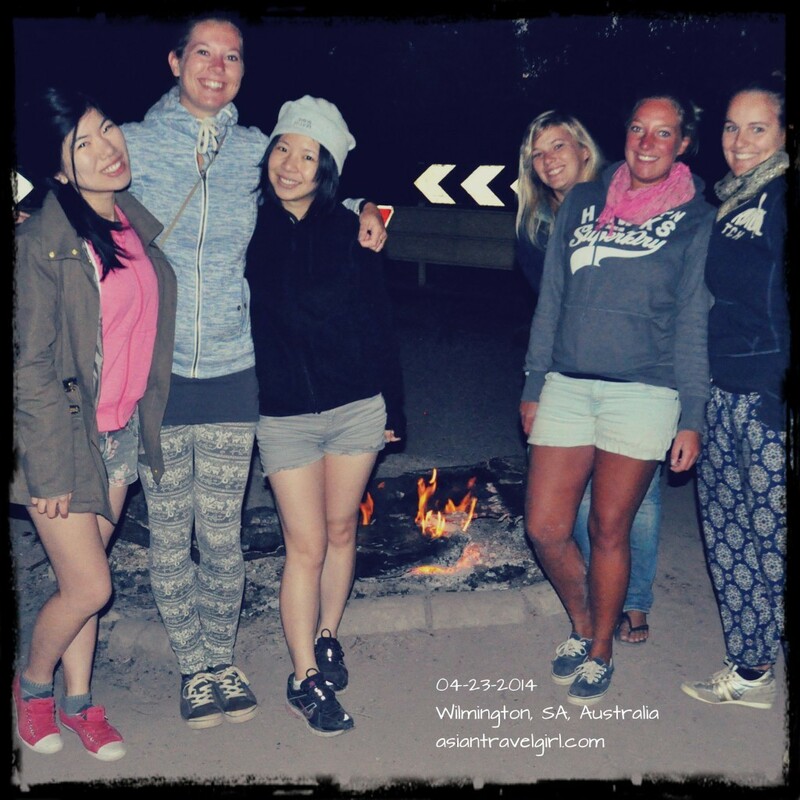 Girls from New Zealand! We are not afraid of the cold! The next morning at 4am I was already starting to wake up, it was freezing last night. I had to wear a beanie to sleep and cover the swag partially over my face. I couldn’t wait till the alarm to ring at 5am, so we can have breakfast. As soon as the alarm rang (Jack was the only person in the group who actually set the alarm on his phone), I jumped out and headed towards to the kitchen for some toasted muesli. I have been trying to eat healthy for the past month, it was good they have skim milk so won’t ruin my diet plan. However toasted muesli alone wasn’t enough to full me up on a freezing morning; had a piece of white toast on Nutella. *Guilty pleasure*. Everyone was up by 5.30am, no one really slept in. I guess everyone on the tour has been travelling around Australia for a while, so they are used to the group atmosphere. The group of us tried to learn “I love you” in each other’s mother tongue in front of the camp fire last night. The water in the tap was quite cold; however I have been through the icy mountain water in Nepal, using this water temperature to wash face was nothing compare to that. It is true that your tolerance increases with each trip. Some of the people were complaining how cold it was last night. One girl suggested that it is easier to stay warm by wearing less clothes while sleeping in a well insulated sleeping bag because your body can heat it up faster. First morning trying to put everything back into the van. Not sure how to do it efficiently yet. 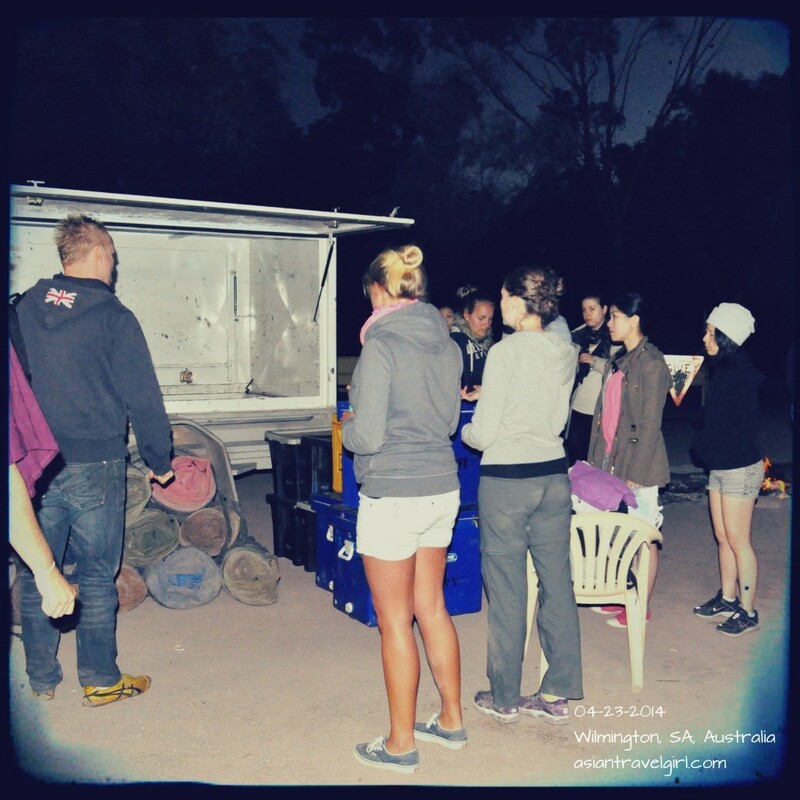 At 6.30am we gathered our things and put everything back into the trailer, it was hard work, since a lot of people are using this trip as a perfect route to travel from Adelaide via Alice Spring to Darwin, therefore everyone has a big backpack. 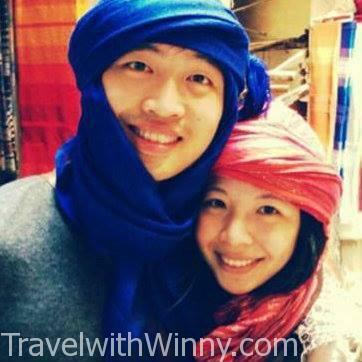 Today we are travelling to Coober Pedy. The town is sometimes referred to as the “opal capital of the world”. It is 600km drive away. Last week I had a patient from Coober Pedy, he said many Chinese customers comes in with large sum of cash to buy opals. 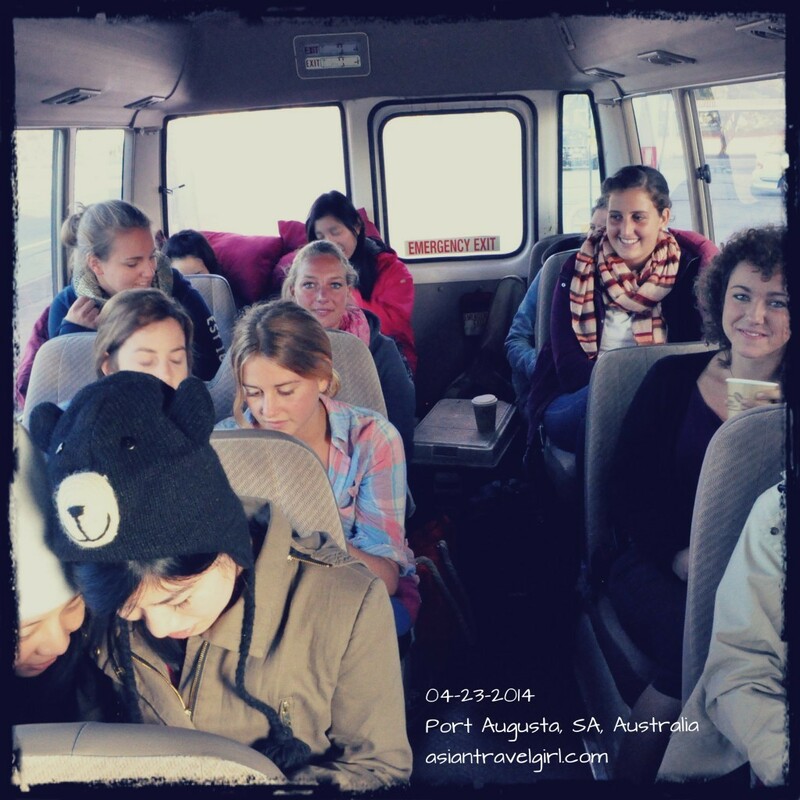 By 7.20am, we arrived at our first fuel stop- Port Augusta. It is the 7th most populous city in South Australia. The major industry includes electricity generation. It is 322km from Adelaide. Leith said the further up north we go, the worse the coffee tastes. So remember to double shot all coffees if you don’t want to just have milk. 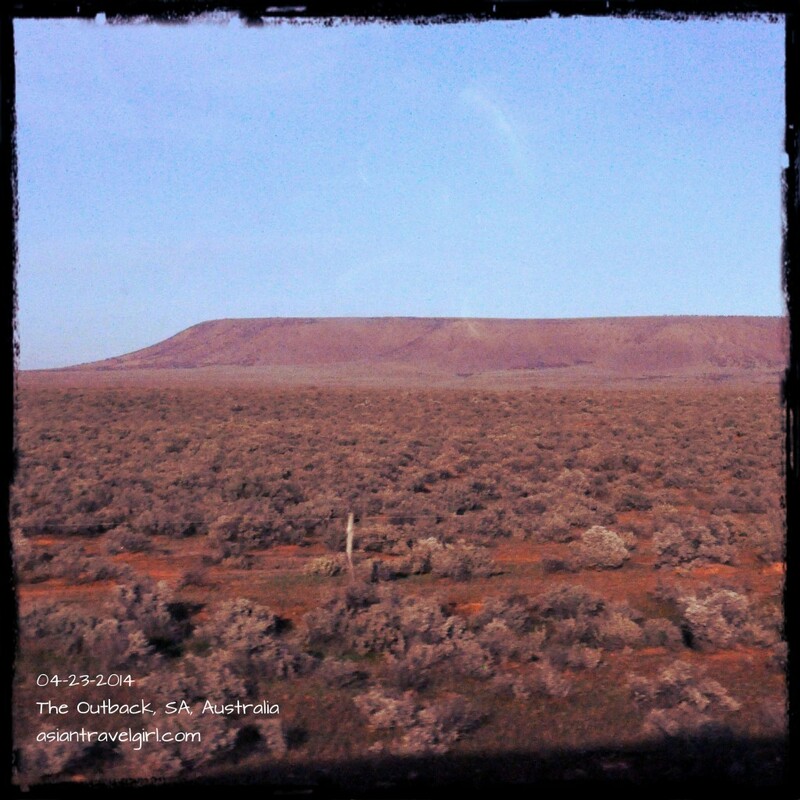 The first real glimpse of Australian Outback that fooled me. I was surprised how you can see Uluru from Port Augusta already, it turned out to be some random landscape. Leith explained to us that the ground is very flat in the outback. Sometimes you can actually see the ground curving across the horizon. Since it is where the south and north poles meet, it produces minimal rain fall each year, roughly about 2mm. Since there aren’t many trees, it is very boring driving downing the road. I wish we can spend longer at Port Augusta, when I saw my friend’s photos on Facebook; it seems like an interesting place to be for a short getaway. 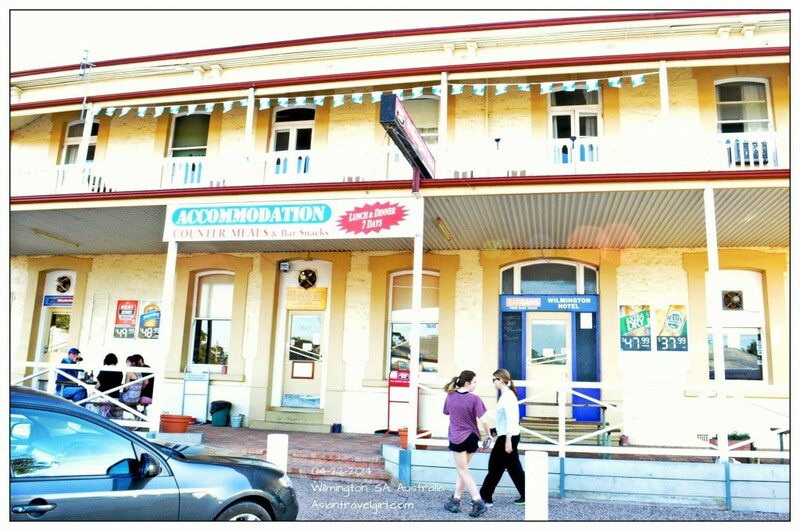 Especially it is close to the Flinders Ranges and various national parks. I might plan a 3 day trip here to do some hiking in the future.